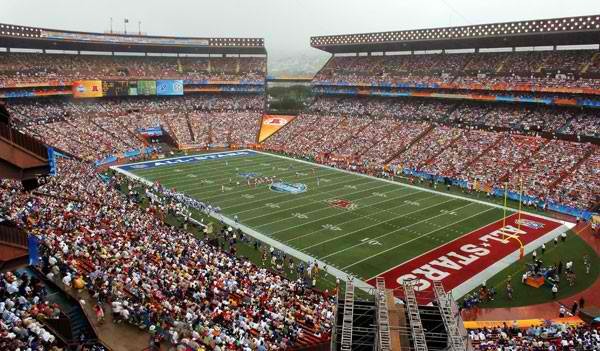 Aloha Stadium is a world-class sports and entertainment venue located in Halawa, Honolulu, Hawaii. 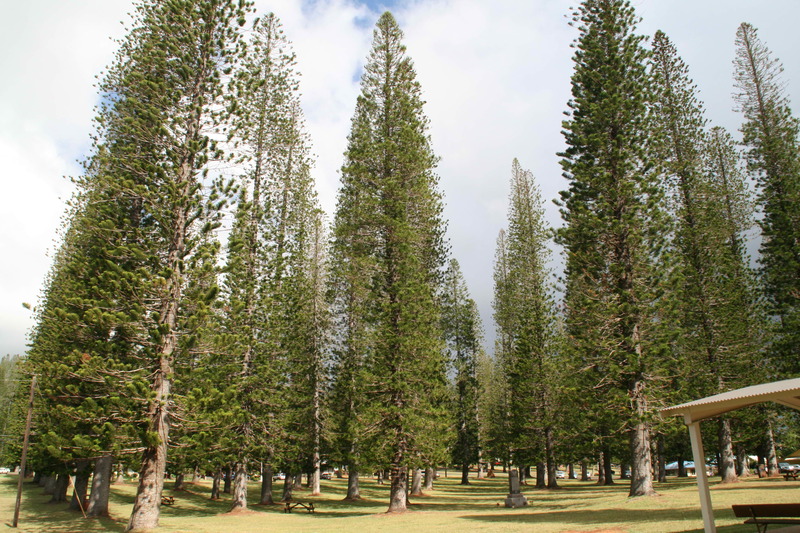 It is the largest outdoor arena in Hawaii, spanning 104-acres with a seating capacity of 50,000. 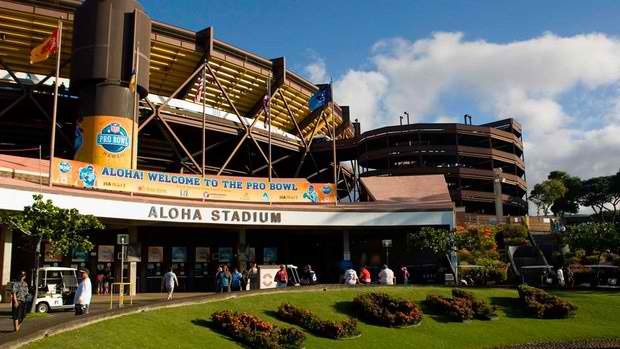 The stadium is home to the University of Hawaii Warriors football team and hosts the annual NFL Pro Bowl all-star game. 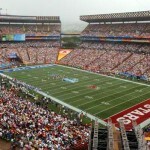 Due to a sponsorship deal with Hawaiian Airlines, the main playing field is now referred to as Hawaiian Airlines Field at Aloha Stadium. 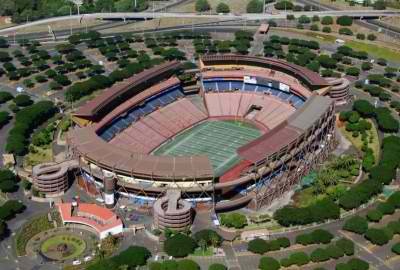 The stadium was commissioned by the State of Hawaii as a replacement for the old Honolulu Stadium which was demolished in 1976. It features theater-style seating with backs and arm rests, a state-of-the-art, multi-million dollar sound system, a 154- foot long scoreboard and a 19x26 foot Sony Jumbotron television. The grandstands are movable which can be configured to provide spectators with the best possible viewing. It is the first of its kind anywhere in the country. It officially opened in 1975 featuring a football game played between the University of Hawaii and Texas A&I (now Texas A&M-Kingsville) with 32,247 spectators on the stands. The stadium also hosts numerous high school football games and soccer matches. 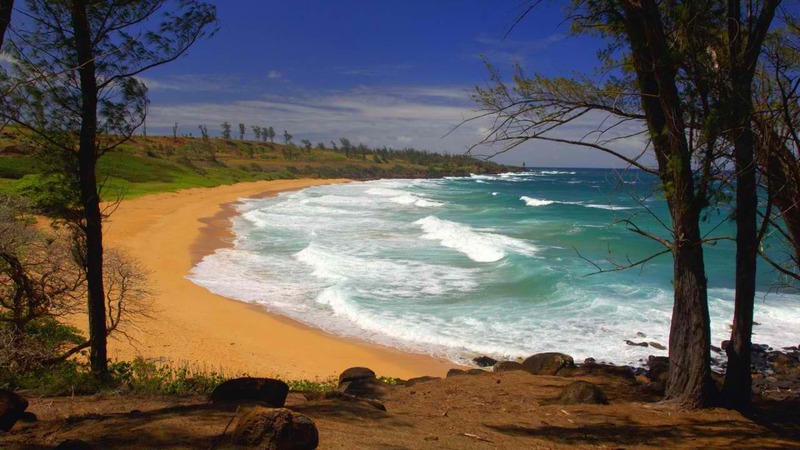 Apart from sporting events, the Aloha Stadium is also a popular venue for car shows, fairs and concerts featuring international superstars such as Michael Jackson, Whitney Houston, Mariah Carey, Celine Dion, Janet Jackson and U2 . It is also well known for the Aloha Stadium Swap Meet & Marketplace, held at the stadium's parking lot every Wednesday, Saturday and Sunday. It is one of the largest swap meets in Hawaii with more than 700 local vendors selling a wide array of merchandise from art, crafts, specialty foods, apparel, gifts and more. 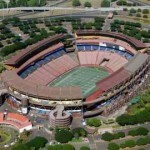 Aloha Stadium is located at 99-500 Salt Lake Boulevard, Honolulu, Central Oahu, Hawaii.